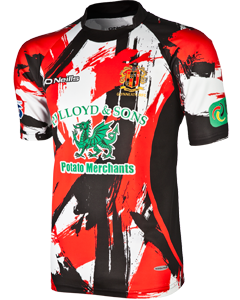 We can incorporate any logo, club crest, colour combination or other design feature into the garment due to our full sublimation process. 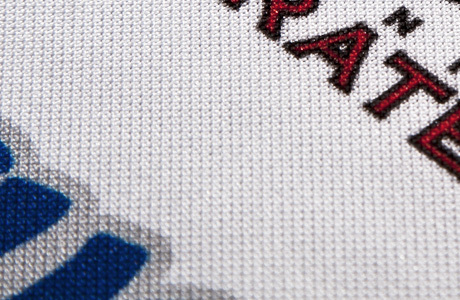 All designs are heat sealed into the fabric for a permanent, durable and highly visual finish. There is nothing that can peel or wash off at a later date. 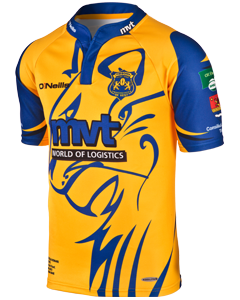 We also offer a full range of embroidery and print techniques alongside the sublimation process. Firstly you contact an O’Neills rep to agree your requirements and design. Our design team draws up a CAD for your agreement and approval. Any changes are agreed. Once the CAD design is approved it is ready to go into production. You will sign off on the artwork to ensure you agree exactly what is going to be produced. 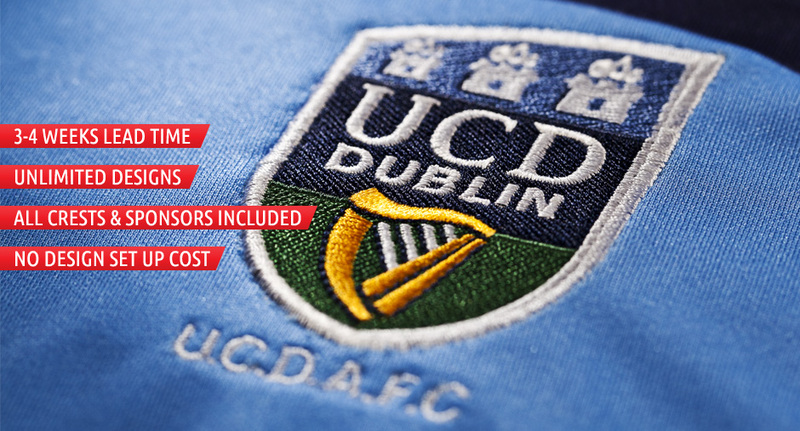 The order is completed and delivered to you within 3-4 weeks of the order being placed. 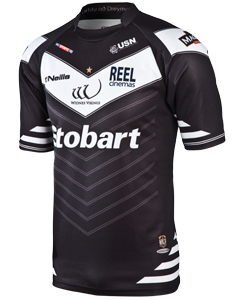 All details are fully incorporated into the jersey fabric using our sublimation printing. 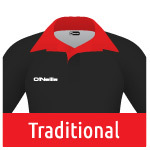 This means we can print crests, logos and sponsor details onto shirts with the finest clarity and sharpness. 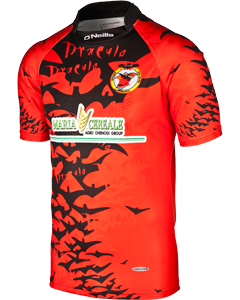 The shirt design can be extended into fully customised shorts and skorts etc. 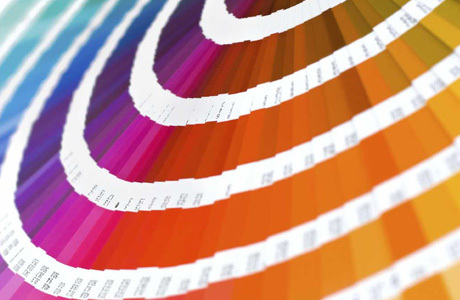 Our production process means every customer can have their own unique design if they want. All details are incorporated into the material during production meaning nothing can wash or peel off. Playing jerseys are usually manufactured using our Koolite fabric. It is a breathable fabric leaving you cool, dry and comfortable during training and matches. The fabric moves moisture away from the body to help evaporation. It is also hygienic and easily washable. Other fabrics used include Reverse Polymicro Fabric which also allows comfort, moisture management and movement. 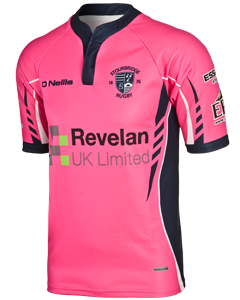 We can print any colours/pantones you require for your team kit. If you have any queries, speak to our reps and they will be able to explain what is possible. 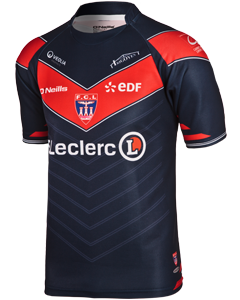 Fully reinforced seams give each playing jersey the innate absolute strength to withstand the toughest rigours of a game. 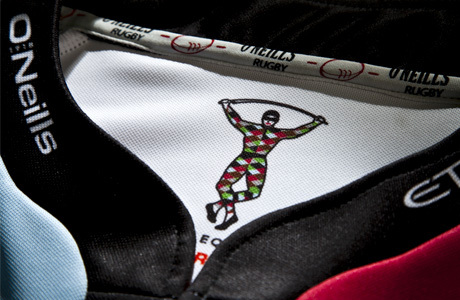 Our rugby jerseys in particular feature felled stitching to ensure the jerseys can withstand the toughest treatment. 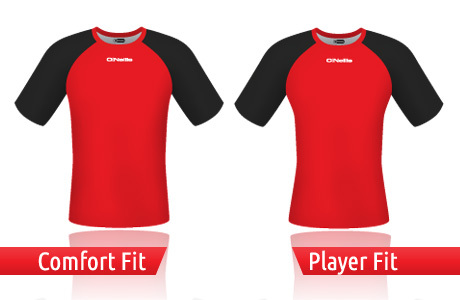 Choose your Jersey fit in either comfort fit or our more professional body hugging player fit. 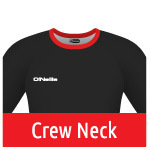 Choose the collar and placket combination of your choice.